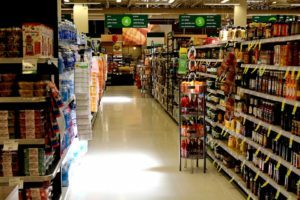 The Food and Drug Administration recently introduced new standards that involve a radical change in nutritional tables for food products sold in the United States. The labels will need to include: the calories in a very large front and at the front of the pack, the added sugar content and the nutritional percentage of the product compared with the recommended daily amount, the portions contained in the package and the average amount of a single portion, the mineral salts and vitamins, not as a percentage but by weight, and finally, all the information must be related to official daily dose values. To ensure that all companies, including smaller ones, can adapt to changes, the FDA proposed an adjustment period of 18 to 24 months, thereby moving the legal obligation to 1 January 2020. However, Thomson Reuters conducted a survey – reported in Italy by Il Fatto Alimentare – that shows how US citizens are not prepared to wait so long. Of the 3,000 people on which the study was conducted, 84% would like the government to introduce the obligations for the new labels immediately. Indeed, 60% of them said they were very curious to know the effect of that specific food on their weight and would like to know the contribution of sugar, salt and fat, also to be able to follow the doctor’s instructions. The data should not be underestimated given the concerning presence of obese people in the United States. Finally, although only 13% declared it read food labels carefully, the measure of the FDA would be interpreted as a “subjugation to by big food lobbies at the expense of health”.